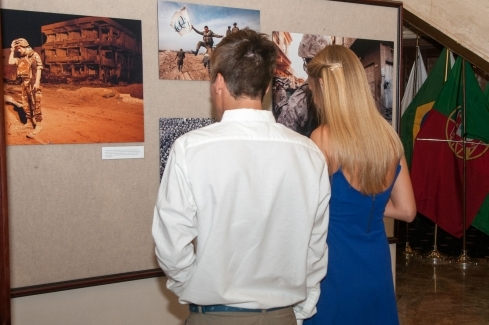 Visitors to the National Press Club look at a display of pictures from the war in Afghanistan by the late Anja Niedringhaus, a Pulitzer Prize-winning photographer for The Associated Press and a winner of the NPC President's Award in 2014. 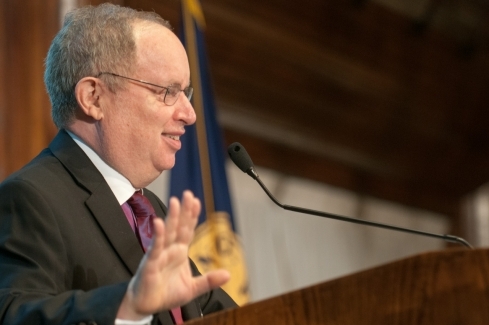 National Press Club President Myron Belkind presides over the Journalism Awards Dinner on July 30, 2014. National Press Club President Myron Belkind awards the President's Awards for the late AP photographer Anja Niedringhaus and AP reporter Kathy Gannon, who were attacked during their coverage of Afghanistan. Both Niedringhaus and Gannon have been praised for their years of coverage and their innovative work. 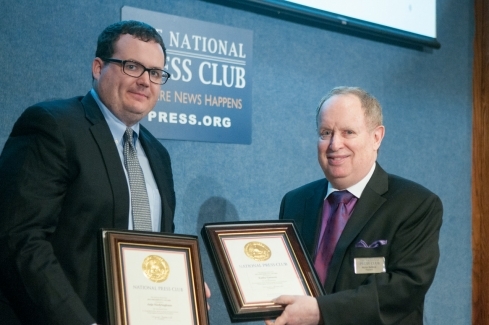 AP Political Editor David Scott accepts the two awards on behalf of the wire service. 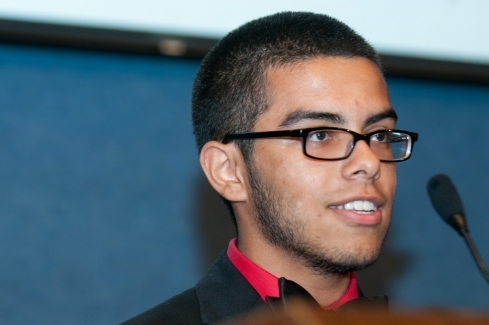 Jose Valle, a graduating high school student from Kill Devil Hills, N.C., discloses while accepting a journalism diversity scholarship from the Press Club that he is an undocumented immigrant, but he says he is determined to get his college degree and pursue a career in journalism despite the obstacles. 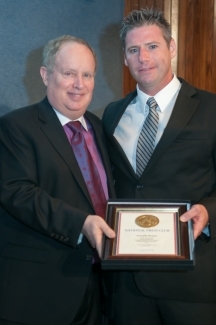 NPC President Myron Belkind presents the National Press Club's John Aubuchon Domestic Freedom of the Press Award to Joseph Hosey of Patch.com for his refusal to reveal a confidential source in the face of imprisonment. 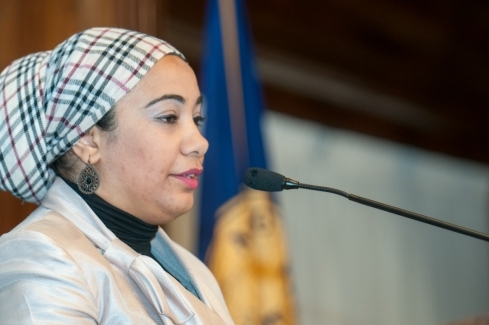 Nada Alwadi, a reporter and cofounder of the Bahraini Press Association accepted the overseas John Aubuchon Press Freedom Award behalf of Ahmed Humaidan, a freelance photojournalist currently jailed in Bahrain at the 41st Annual Journalism Awards Dinner, July 30, 2014.